Suzanne Jackson and Keilidh Cashell stunned on Thursday night, as they launched their brand new SOSU by SJ collaboration. The beauty influencer’s brand teamed up with the YouTube makeup artist to create The Urban Collection. The three-piece collection, which includes lashes, makeup brushes, and an eyeshadow palette, will be the secret weapon to creating rule-defying eye looks for the rebellious edgy girl. 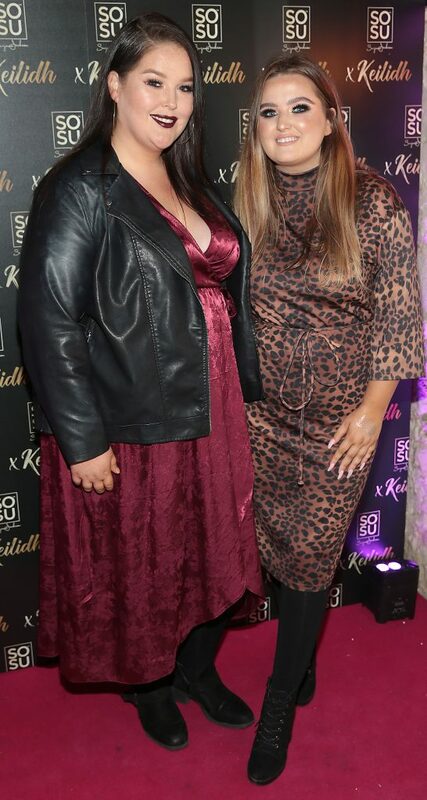 Suzanne and Keilidh celebrated their big launch with a party at 9 Below on Stephen’s Green on Thursday, and they were joined by plenty of well-known faces and beauty lovers. 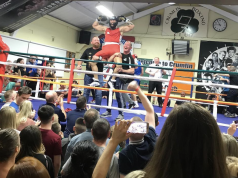 Former Miss World Rosanna Davison was spotted on the night, as well as Shauna Lindsay, Bonnie Ryan, Ashley Kehoe, Sarah Godfrey, Louise Cooney, Grace Mongey, and James Patrice. The Urban Collection is bound to be a huge hit with beauty lovers, as the pre-sale sold out online in a flash. Beauty fanatics can purchase the palette, lashes, and makeup brushes separately – but SOSU by SJ have also given fans the opportunity to buy the entire collection for €85. The bundle offer includes the Urban Bible 16 Shade Eyeshadow Palette, the Urban Rebel 7 Piece Brush Collection, and three pairs of Urban Beauty Lashes in the styles Black Heart, Ego, and Keilidh. The entire collection is currently sold out on their website, but the brand have reassured fans that it will be back in stock very soon.